Mr Imran Khan, former captain of Pakistan’s cricket team, will take guard as the next Prime Minister of Pakistan on August 11, 2018. His victory was not foretold, though there were strong and persistent rumours that he was the favourite candidate of the army and therefore his win was assured. 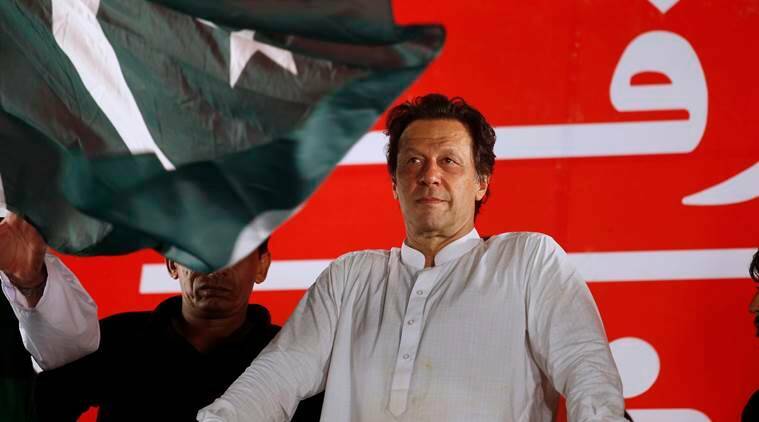 Mr Imran Khan’s party, Pakistan Tehreek-e-Insaf (PTI), did not score an outright victory, but came tantalisingly close (116 seats against the simple majority mark of 137). On the eve of the election, it was predicted that Mr Nawaz Sharif’s party, PML-N, would return to power. Bets were also placed on the success of the late Benazir Bhutto’s party, PPP, after her son, Bilawal Bhutto Zardari, held a few rousing rallies. Eventually, the PTI emerged as the largest party. In India, there are some quarters that have great expectations from the new government. There are others who have dismissed the election as a non-event and warn the government to remain vigilant. Both are wrong. We must understand the nature of the federal government of Pakistan. In 31 of the 71 years since independence, Pakistan has been ruled by the military. Civilian governments were short-lived and were largely at the mercy of the military establishment. The army, the civilian government (when there is one) and the non-State players share power in Pakistan. In matters relating to India, and especially Jammu and Kashmir, none of the three players can be ignored altogether. Nevertheless, in the jostling for power, surprises can occur and Mr Khan may be able to carve out more space for himself. The new government will start with a certain goodwill. The government of Mr Imran Khan will talk — and has started talking — about peace, development, growth, outreach to its neighbours, international acceptance, and finding a solution to, in Mr Khan’s words, the “core issue” of Kashmir. India must seize the limited opportunity that may be available in the first six to 12 months. India must press Pakistan on matters that the two countries can address regardless of the issue of J&K. These are the obvious ones — trade, bus and train services, cultural exchanges, access to pilgrims, tourist visas, medical visas, and resumption of sports contests. They will not lead to a solution to the long-standing dispute over J&K, but will help the people of India and Pakistan look upon each other as ‘neighbour with disputes’ and not demonise each other as an ‘eternal enemy’. Both countries stand to reap small gains by moving towards normalising relations on a wide range of matters that any two neighbours ought to regard as routine. Beyond that, India does have a vital interest in stopping infiltration on the border, eliminating terrorists and finding an honourable solution to the dispute over the Kashmir Valley. There are other contentious issues concerning Siachen and Sir Creek. If ‘peace’ is defined as achieving closure on all these issues, I have no illusion that Mr Imran Khan and his government will play ball. So, let’s keep aside unattainable goals. If we define ‘peace’ as ceasefire on the border, that may be achievable, as we did for a number of years. If we define ‘peace’ as ending infiltration, that may be mostly achievable through an agreement that will provide for joint patrolling and other border security measures to be taken by both sides. If we define ‘peace’ as persuading the Pakistan establishment against giving active support to terrorist groups, that may be partially achievable through patient diplomacy. The memory of the Mumbai terror attack still haunts us. Unless the perpetrators, who have been identified and who live in Pakistan, are punished, there will be no closure to the Mumbai outrage that took 166 lives. Mr Imran Khan may — and I use the word ‘may’ advisedly — be interested in establishing his credentials as a democrat and as one opposed to terrorism. Nothing will be lost if we explore the possibility of nudging his government to resume the trial of Hafiz Saeed and bring other identified culprits to justice. Mr Imran Khan has said that if India will take one step forward, he will be prepared to take two steps forward. That may simply be posturing on the eve of being sworn in as Prime Minister, but nothing will be lost if we take Mr Khan at his word and appeal to him to deliver on his words. Impulsive moves do not constitute policy. Flip-flop is not policy. After the Mumbai terror attack, India did not declare war on Pakistan. Nor did India declare ‘no talks’ with Pakistan. Those positions — unpopular in the beginning — did bring small gains. No terror incident in India between 2008 and 2014 was found to have its origin in Pakistan which, presumably, exercised some restraint. The numbers of incidents and casualties in Jammu & Kashmir also declined dramatically between 2010 and 2014. Mr Imran Khan takes guard on a difficult wicket. Pakistan’s economy is weak and faces strong headwinds, among them being mounting external debt. The country is also somewhat isolated in the international community. Mr Khan has absolutely no experience of government. He too may want modest improvements. That’s the key word: modest. Modest initiatives, modest expectations and modest results — those may yet be the result of engaging with Mr Imran Khan and his government.